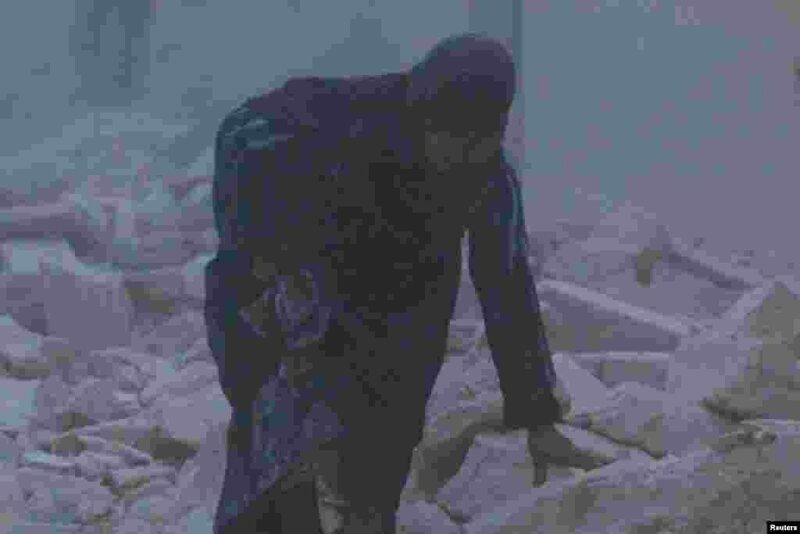 5 An injured woman walks at a site hit by an airstrike in the rebel-held al-Ansari neighborhood of Aleppo, Syria. 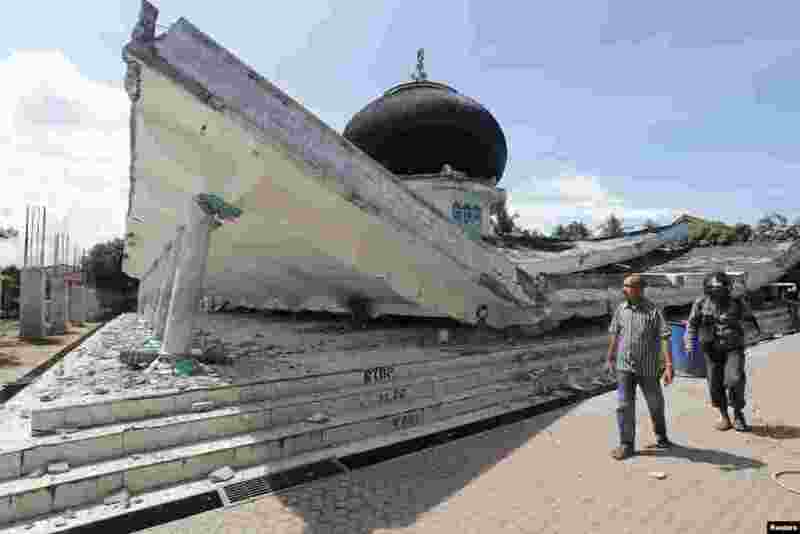 6 People walk near a collapsed mosque following an earthquake in Meuredu, Pidie Jaya, in the northern province of Aceh, Indonesia, in this photo taken by Antara Foto. 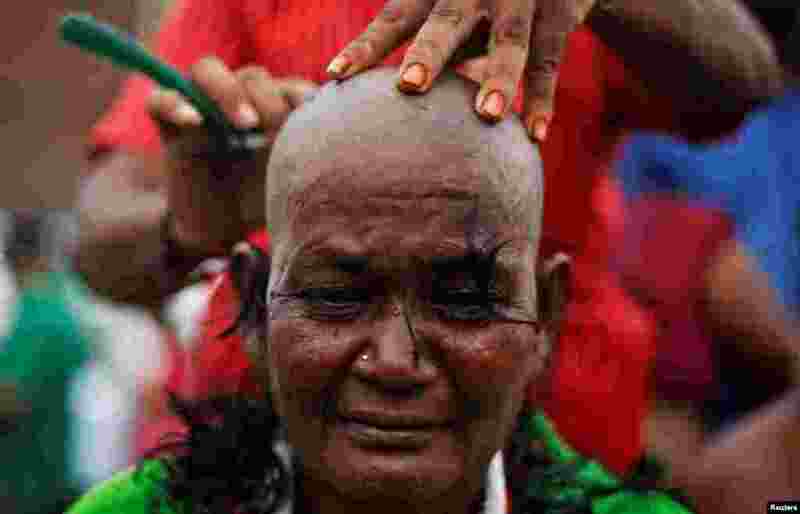 7 A supporter of Tamil Nadu Chief Minister Jayalalithaa Jayaraman gets her head shaved near Jayalalithaa's burial site in Chennai, India. 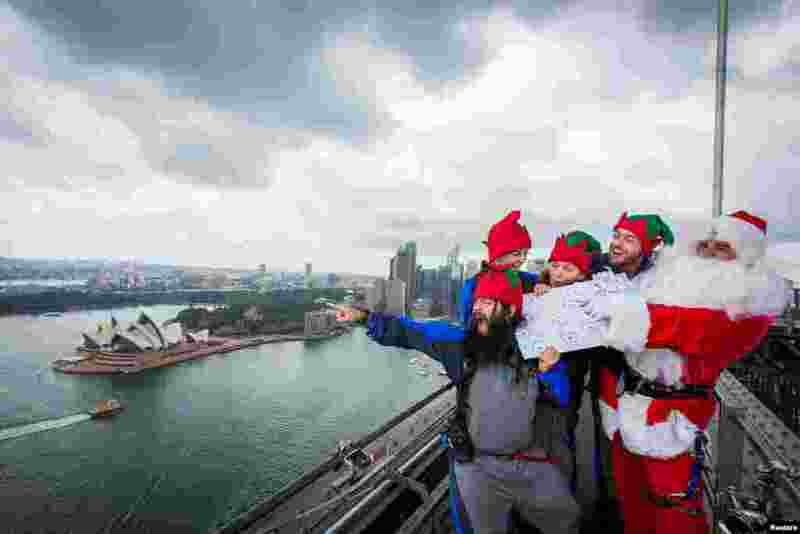 8 People dressed as Santa Claus and his elves stand on top of the Sydney Harbour Bridge with a map featuring Australian homes to which gifts will be delivered on Christmas day.